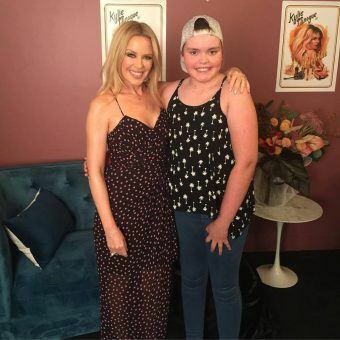 Not so long ago, we shared a post commending Kylie Minogue for the work that she does not only on the stage, but also off the stage – in particular, the work she has done for Challenge and our many families. Tonight, we commend our Ambassador again for bringing smiles as big as the ones in the pictures attached to the faces’ of these Challenge members today. In town for her Golden Tour, Kylie found the time amidst her busy and limited schedule for a spontaneous meet and greet with these great admirers of both her talent and character. At Challenge, we always say that it is the littlest things that make the biggest difference. Objectively, a chat, a hug and a photo might not seem like a huge gesture, but for these kids it means everything. 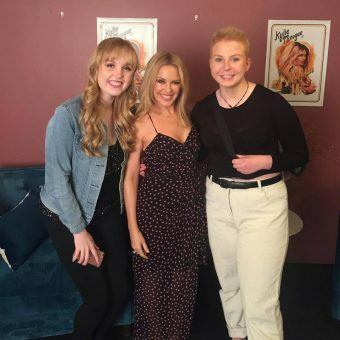 Being a pop icon is not always as luxurious as it seems and you can understand why some celebrities struggle with the fact they are constantly under the public’s eye. For Kylie, this has never been the case; she has alway seen her platform as an opportunity to make a difference and she has relished in that responsibility. 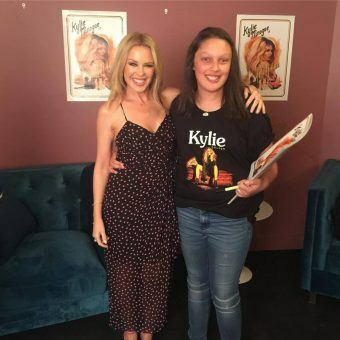 Well done, Kylie. Your willingness to bring joy to those who need it most is great a testament to the kind of person you are. We feel so lucky to have you part of the Challenge family and we thank you for always sharing your time with us!